Last night, April 24th, BHS Track Teams ran their conference meet at Bald Knob. The girls team finished 5th overall. Denisha Bush finished second in the shot put with a throw of 29-9.25 and qualified for the state track meet. 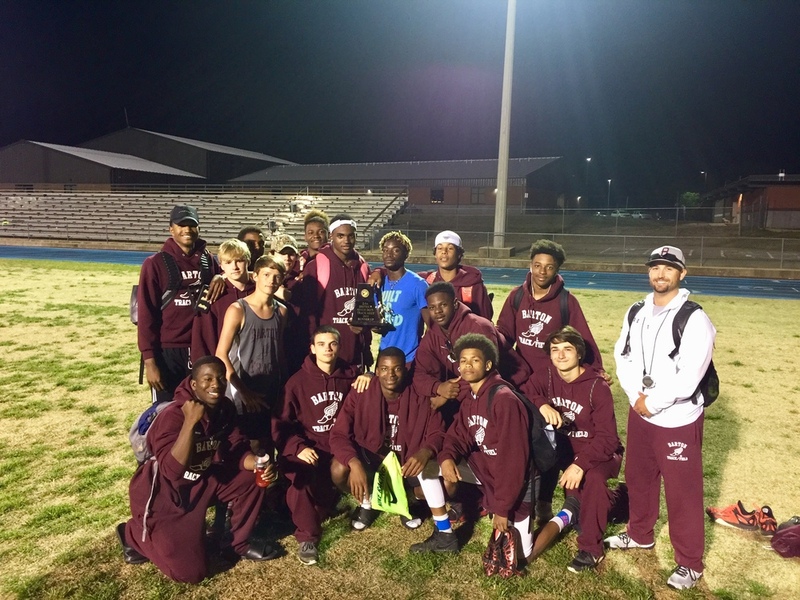 The boys team finished Conference 2-3A Runner-Up, scoring 102 points and beating out Harding Academy by 4 points. State Qualifiers include Jaylon Leroy Johnson, Tre'Von House, Kylan Conrad, and Bradley Smith in the 4x400m Relay with a season best time of 3:48.53. Bradley Smith also qualified in the 100m dash. Bradley ran his season best time of 11.66. The 3A State Track Meet will be held at Jessieville on May 1. Congratulations to all the Track students!